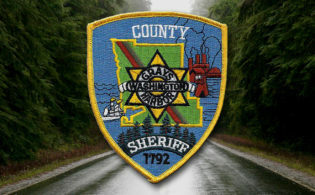 A rollover collision in Hoquiam on Tuesday sent a man to the hospital. 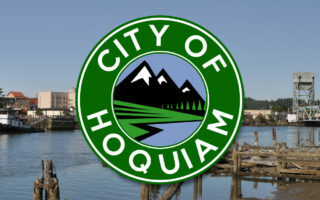 According to the Hoquiam Police Department, they were called along with the Hoquiam Fire Department to the base of the Simpson Avenue Bridge just before 8pm for an accident. In their report, they state that an 18-year old Raymond man was driving a 2007 Dodge Ram when he was struck by a 2011 Toyota Scion crossing Simpson Avenue from 10th Street. 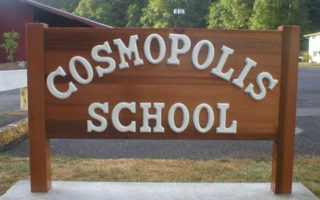 The Scion was being driven by a 69-year-old Hoquiam woman. The collision caused the pickup truck to spin 180 degrees and over the concrete barrier of the Simpson Avenue bridge. Both the 18-year-old man and his 18-year-old male passenger were found alert and standing in the cab of the truck. Both were able to climb out of the passenger side window with the assistance of Hoquiam Fire. HPD states that both the 18-year-old driver and his 18-year-old passenger were found alert and the passenger was transported to Grays Harbor Community Hospital by HFD for a minor, non-life threatening injury. HPD cites the work done by the Hoquiam Police Explorers of Post #23 were called in for traffic control as vehicles were brought to one lane.